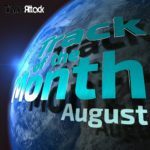 We are looking for the Track of the Month June 2018 and want you to vote! Let us know which tracks are your favorite releases of this month and which track should be aired as official Trance Attack Track Of The Month June 2018 in our upcoming show “Enter The Arena 077” with special guest Somna (aired on July 02nd 2018 via Trance-Energy Radio and on July 04th 2018 via Trance World). 2. The track must have been released at least after May 25th 2018! 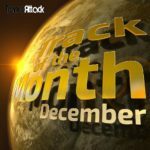 In the Trance Attack team we discussed our personal highlights of June 2018 and we nominated the following ten tracks. The voting ends on Friday, June 29th 2018! What are your favorite tracks of June 2018? 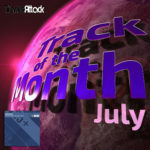 Tagged A State Of Trance, Airscape, Alan Morris, Armin van Buuren, Armind Recordings, Betsie Larkin, Ciaran McAuley, Daniel Skyver, Davey Asprey, DIM3NSION, Ferry Tayle, Fiora, Flashover Recordings, Full On 140 Records, Future Sound Of Egypt, Grotesque Music, James Cottle, Johan Gielen, Magik Muzik, Miroslav Vrlik, Natalie Gioia, Ram, Rising Star, Roger Shah, Ronski Speed, Track Of The Month, Vandit Records, Woody van Eyden.